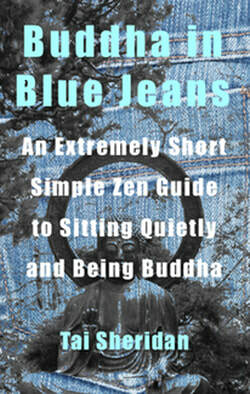 Buddha in Blue Jeans is an extremely short, simple, and straight forward universal guide to the practice of sitting quietly and being yourself, which is the same as being Buddha. Sitting quietly can teach many ways to accept life, meet pain, age gracefully, and die without regret. 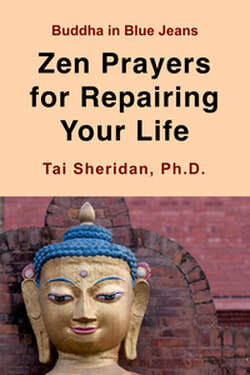 Zen Prayers addresses what is unsettled within you and cultivates integrity and virtue. Zen prayer includes intimacy with the ground of Being, making yourself whole through honest self-reflection, clarifying your deepest spiritual intentions, wishing for the welfare of the world, and affirming the essential goodness of people and life. 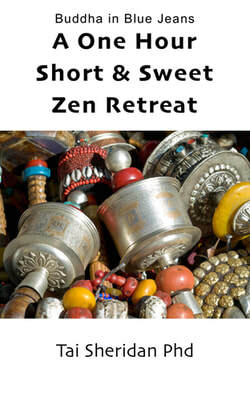 A One Hour Short & Sweet Zen Retreat encourages you to enjoy quiet, gather your wits about you, delight in nature, nourish yourself, focus your attention, love the world you inhabit, clarify your spiritual intentions, and deepen your connection with the whole of you. It is a simple one hour practice that requires no special belief, training, or particular religious affiliation. 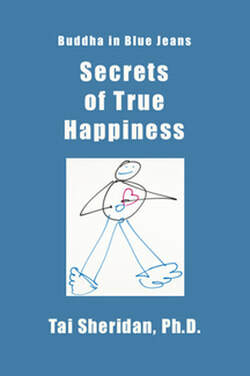 Secrets of True Happiness is a simple and straight forward guide to becoming happy by living wisely. When you are truly happy you can be at ease in the world as a Buddha in Blue Jeans: a person of presence, openness, love, and benefit. A contemporary and contemplative spiritual exploration of death. Beneath the surface, many anxieties, worries, and fears are associated with death. 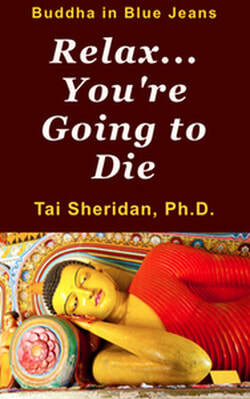 Relax, You Are Going To Die is an invitation to examine your relationship with death and with your ability to live with grace and dynamic vitality. Since you are a Buddha, your daily life expresses Buddha’s three bodies. These bodies are an infinite and borderless landscape which unifies your inner and outer worlds. Your Body Buddha manifests as your immediate experience and authenticity. Living in Buddha's Three Bodies will help you live close to the mystery and miracle of your precious life. The essence of Zen experience lies beyond understanding. The Tree Sun Star meditation is a way of entering your body and becoming one with yourself, the world, and the cosmos. Internationally best selling author of Buddha in Blue Jeans teaches contemplative meditations that awaken the essence of Zen. The Wheel of Life Mantra is a poetic expression of the Bhavacakra, an ancient mandala that presents the most significant wisdom teachings of Buddhism. It is used to contemplate the causes and conditions of suffering, and is a guide to non-dual wisdom, loving kindness, compassion, and equanimity. 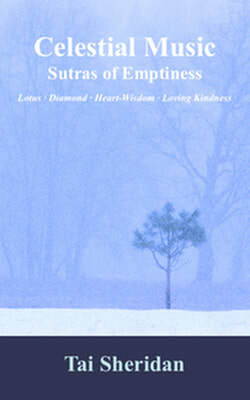 Celestial Music presents modern interpretations of the Lotus, Diamond, Heart Wisdom, and Loving Kindness Sutras in easy to read and inspirational verse. The Buddhist sutras express the path of enlightened living based on curiosity, good will, wisdom, and compassion. They journey through the depths of human experience: living and dying, love and loss, anguish and peace. Keizan's thirteenth century Denkoroku, The Transmission of the Light, is a sophisticated Zen fairytale about enlightenment and the empty ground of Being. Keizan uses archetypal myths, legends, and dreams to describe the luminous and awakened Zen mind. The author transforms eighteen of the stories into lyrical ballads that focus on the light of the Universal Self. 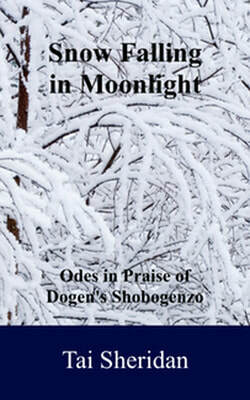 Dogen (1200-1253) is the father of Soto Zen. The author has transformed twelve of his spiritual essays from the Shobogenzo (The Treasury of the True Dharma Eye), into poems about non-dual wisdom, luminous mind, loving kindness, and Zen practice. Poems include Odes to Moon, Time, Space, Light, Now Mind, Truth, Awakening, Cedar Trees, Mountains Rivers, and Plum Blossoms. 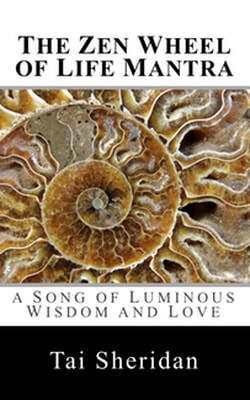 Warm Zen is an easy to read and understand poetic interpretation of Dogen's complex philosophical essay Bendowa. 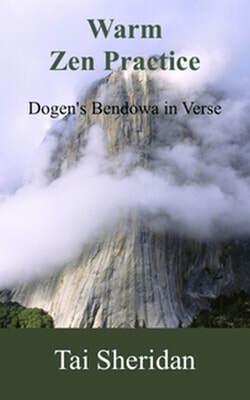 Dogen's writing is based on the Buddhist philosophy and experience of 'no-self' and the unconditioned reality of existence-being, also called the dharmakaya', the mystical and transcendent body of light. Topic headings and contemporary verses give insight into spiritual awakening. Rice Eyes: Enlightenmnet in Dogen's Kitchen, is a poetic presentation of Dogen's essay Tenzo Kyokun, Instructions to the Cook, by Zen priest and poet Tai Sheridan. "Rice Eyes" is a metaphor for the non-dual world, the essential Buddhist experience of oneness. Dogen uses the role of Tenzo, or head cook, to demonstrate how to live, work, and experience a spiritual life that brings benefit to everyone. 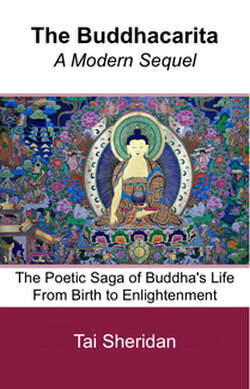 The Buddhacarita, Asvaghosa's second century sanskrit poem, is the oldest existing story of Buddha's life. The saga begins with Buddha's magical birth and ends with his enlightenment. 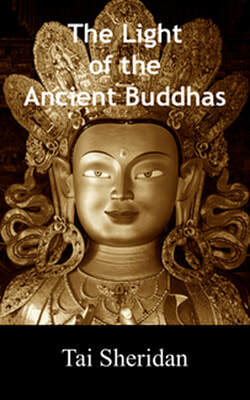 The ancient myth presents Buddha's relentless inquiry into the nature of reality and artfully weaves together an archetypal hero's journey, Buddhist philosophy, phantasmagorical occurrences, and historical facts. This poetic rendition brings the joy and meaning of Buddha's search to the modern reader. This modern poetic interpretation of the well loved Dhammapada presents the path of wisdom and joy as universal truths for a contemporary audience. It transforms the original using minimalistic images and modern meanings that cut to the chase of Buddha's wisdom. 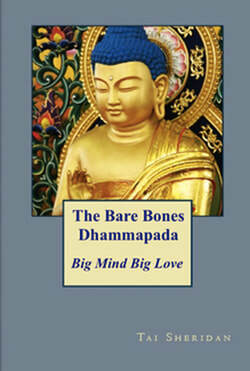 The Dhammapada is one of the oldest Buddhist texts on walking the path of enlightenment, love, integrity, and kindness. All of his books are straight to the point Zen at its best. You can pick up any of his books and flip it open to any page and find inspiration. and am drawn to stop and take it in. of being, spirit, living and dying. and has helped me back on my journey, after being lost for some time now.